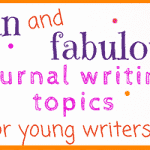 Holiday Journaling and Writing Prompt Ideas— With all the festivities, food, and celebration of traditions happening during Thanksgiving, Christmas, and other fun holidays, holiday journaling is a wonderful way to get kids more excited for the celebrations and even more into the holiday spirit (if that is possible!). 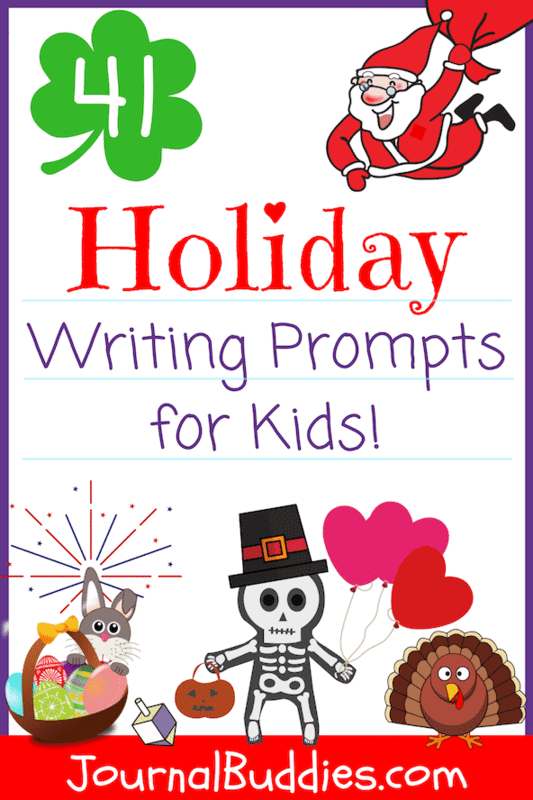 Plus, it’s the perfect opportunity for kids to write about holiday-themed topics. 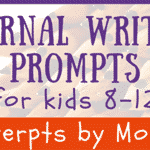 To help kids get started with a holiday journal, we suggest using some holiday writing prompt ideas. 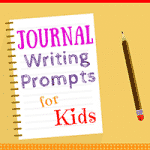 Keeping a journal and using writing prompts can give kids the push and direction they need to get their train of thoughts in motion and unleash the creativity inside their minds. Holiday journal keeping can also help kids organize their thoughts and analyze their beliefs about their holiday experiences. 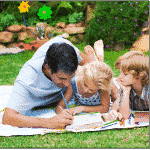 77 Valentine’s Writing Ideas for Kids and more! 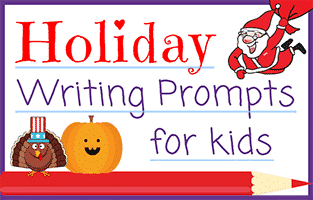 Use the following holidays writing prompt ideas with your kids to invigorate their creative juices and help them practice their journal writing skills. Write about your favorite holiday party ever! What would Christmas be like without Santa? What do I know about Hanukkah? It is better to give than receive. Who would you give something to and what would it be? This is what I know about pumpkins. Which holiday has the most meaning for you: Canada Day, Thanksgiving, or Valentines Day–and why? What will your Thanksgiving table look like? Who will be coming to your Thanksgiving or where will you be going? 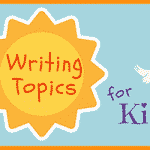 Write a story about a Scary Jack-o’-Lantern. After our apple testing, write down what you learned this week. This month is Thanksgiving. Tell me what you know about this holiday and what you love the most about it. Tell a story about Christopher Columbus’ ship and his voyages. Tell me about Pilgrims – what they dressed like and what they did. My favorite Christmas cookie is? What is a menorah and why is it important? How do you help prepare for Thanksgiving? How do you help prepare for Christmas? Ok, that’s it for now and until next time, keep on writing!